This isn’t some sort of twisted agenda to put pressure on employees, rather a financially-motivated statement of fact. This decision is also based on the current political climate. The US’s FBI, NSA, and CIA have all warned the government and citizens that they suspect Chinese manufacturers of adding spyware to the products they sell overseas. The US made an appeal to allied countries to ban Huawei’s 5G infrastructure as well, claiming Huawei equipment is a way for China’s Communist Party to spy on other countries. However, the company had a tremendous 2018. Huawei sold 200 million units of their smartphones, which set a new record for the smartphone manufacturer. Huawei said it made $100 billion in revenue in 2018 due to the wide range of smartphones the company produces appealing to consumers of every price bracket. The company’s core telecommunication business was also responsible for Huawei’s massive revenue. It seems the company’s exponential growth will come to a halt, however, according to Ren. Ren, who is a former officer of the People’s Liberation Army, said that the US President had the opportunity to alleviate the tense situation between the two countries. This was the first time Ren spoke to journalists since 2015. The CEO made these comments as his daughter Meng Wanzhou, who serves as Huawei’s CTO, is facing extradition to the US on charges of violating sanctions against Iran. He warned that this could have a negative effect on US-China relations in the future. A number of publications that attended a two-hour roundtable with the Huawei CEO at the firm’s newest offices in the industrial city of Dongguan confirmed Ren’s remarks. These could all be empty words or a last ditch effort to try and please Trump so he lifts the sanctions placed on Ren’s company. But the CEO is adamant that Huawei does not have any ulterior motives. But US’s concern with Huawei lies mainly with Ren and his past. Ren used to work as an engineer for the Chinese military. The US worries that Ren’s connections and his past knowledge could cause serious damage to US security and privacy. 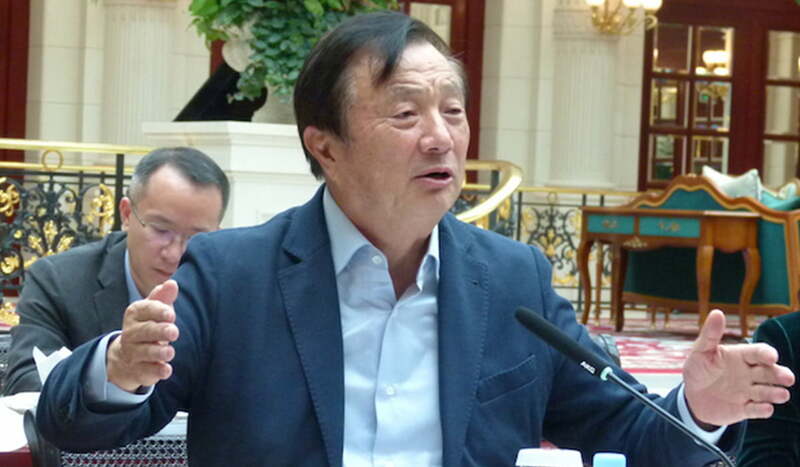 The CEO also refuted claims of Huawei being a player in the US-China trade war, saying that Huawei was just a sesame seed (that is, a tiny part) in the larger trade war.